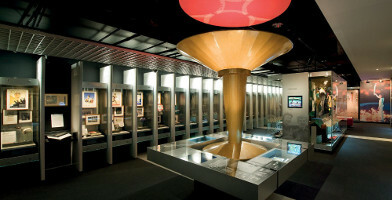 These tours are an appropriate tribute to all the great and monumental sporting events that have been played within the Melbourne region over the course of the years - from the historic Melbourne Cricket Ground (MCG), to the various courts of the renowned Rod Laver Arena, to Flemington Racecourse (home of the annual Melbourne Cup), we take you behind the scenes and give you an up-close look at the venues behind the games we play. 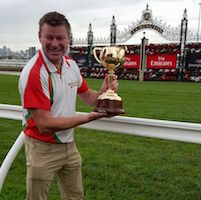 The sports-mad will love this tour of Melbourne's rich sporting history - visit the MCG, Flemington Racecourse, the Commonwealth Games Village and more. Tour Melbourne's iconic sporting venues including Rod Laver Arena, Flemington Racecourse, the Commonwealth Games Village, Albert Park, and more! Sports lovers can head out in the morning to tour the National Sports Museum, Flemington Racecourse, the Commonwealth Games Village, and much more. This gift voucher for sports lovers will visit such Melbourne icons as the MCG, Rod Laver Arena, Flemington Racecourse, Commonwealth Games Village & more. 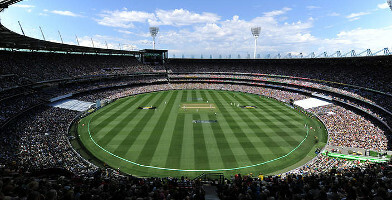 Melbourne is host to some of Australia's most iconic sporting venues - see them on this tour! Includes the MCG, National Sports Museum, and more. The ultimate sports lover's tour covers all of Australia's favourite sporting venues dotted throughout the city of Melbourne! Check out the list inside. Tennis fans will be delighted as we visit some of Australia's favourite tennis venues and experience the thrill of playing on the world's best courts. 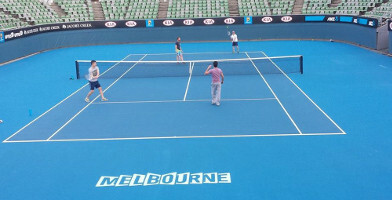 "We offer fun, interactive tours of Melbourne and its sporting culture. 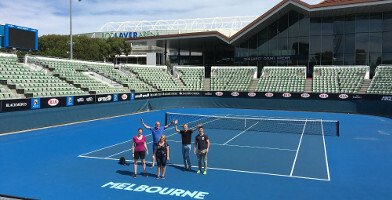 Our experienced and knowledgeable hosts take you behind the scenes of Melbourne's world class sporting venues to share inside knowledge of the city's sporting history."